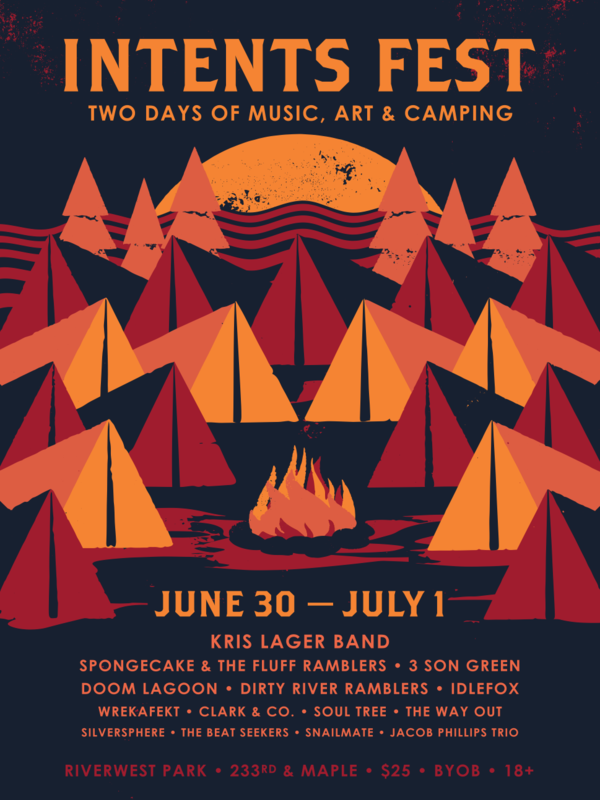 Intents Fest | Cody Fenske Design Co.
A poster for camping in the wild, enjoying music and art, surrounded by your buddies. Sounds pretty… intens— I won’t say it. But you know what I mean.